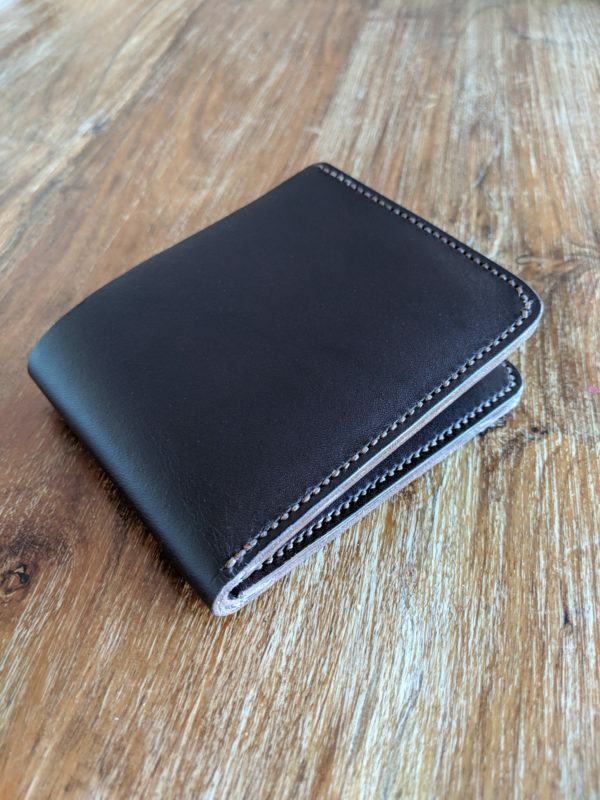 Leather bi-fold wallet with 6 card slots. Handmade with Italian leather. 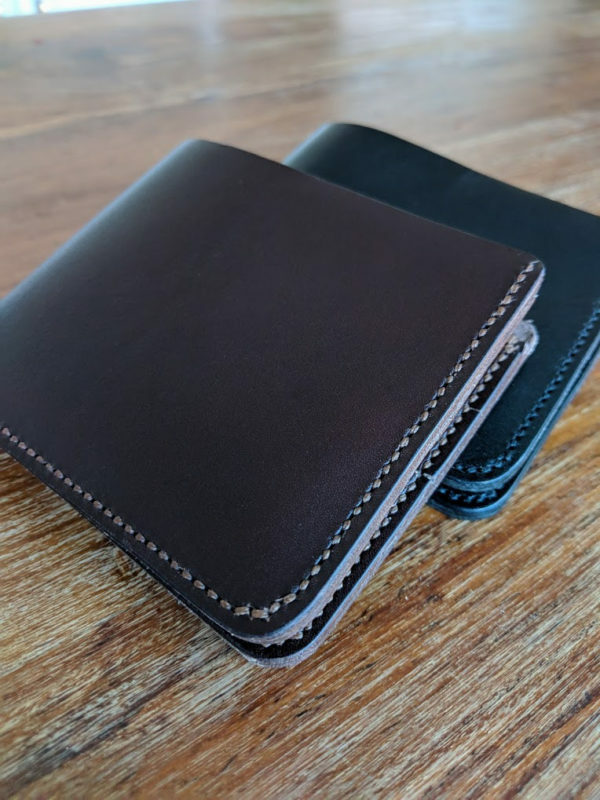 Home / Handmade leather wallets / Bi-fold wallet with 6 card slots. Handmade with leather from S.Croce, Italy. 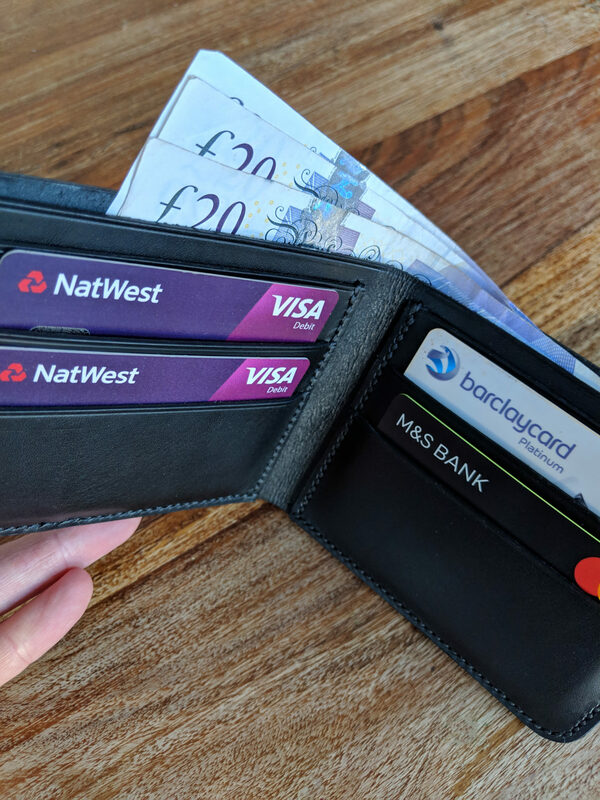 Bi-fold wallet with 6 card slots. Handmade with leather from S.Croce, Italy. Designed to hold 6 or 7 cards and with plenty of space for notes and receipts, this wallet is perfect for front or back pockets. The leather I use is the finest quality vegetable tanned leather from a region in Italy with a rich history of leather work and tanning. 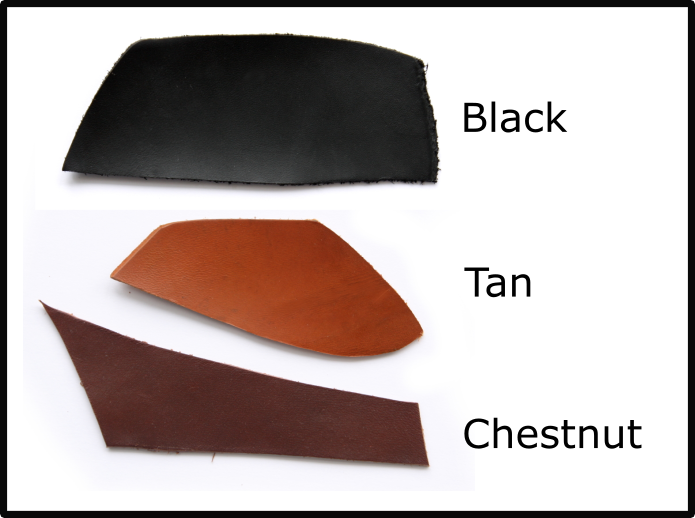 Available in black, tan and chestnut; please see the colour swatch image above (other colours are available on request, please contact me if you have a specific requirement). Why not personalise this wallet with some embossed initials? 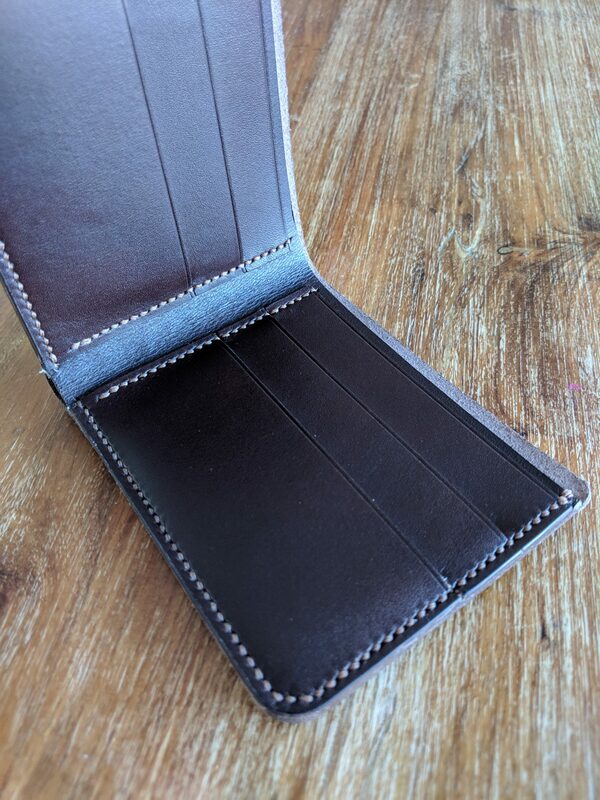 The outer edge of the wallet is hand stitched in strong saddle stitch. The thread used is Ritza Tiger thread, a waxed and braided thread which is UV resistant and incredibly durable and used worldwide in handmade leather goods. Please see the colour swatch image above (other colours are available on request, please contact me if you have a specific requirement). The edges are painted in black dye, hand burnished and then finished with good old elbow grease. The final step is giving the wallet a good buff and polish.